TICKs and fleas can be found in many areas. without releasing any chemicals or odours. The TICKLESS device emits a series of ultrasonic pulses that are imperceptible to humans, pets or wildlife, but interfere with the ability of ticks and fleas to orient themselves. Environmentally friendly, contains no chemicals or fragrances, making it perfectly safe to use for everyone. Ultrasonic wave is an acoustic (sound) energy in the form of waves having a frequency range above that of human hearing range. The sounds humans can perceive have a frequency ranging from 20–20,000 hertz (Hz). While pets can hear ultrasound frequencies, 40 kHz is already over their hearing range. TICKLESS was tested in 2012 by the Medical Microbiology and Infectious Diseases Laboratory, University of Camerino (ranked best Italian university by Guida Censis Repubblica 2011 and 2012). The results clearly showed that the test dogs, which already had a tick / flea, TICKLESS prevented any worsening of the infestation and in some cases reduced the infestations. They also showed that in dogs that were not infested prior to the start of the study, TICKLESS prevented any infestation. 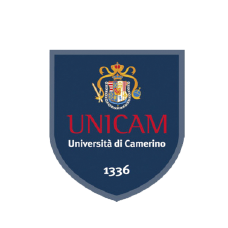 The University of Camerino in Italy confirmed the effectiveness of the Tickless device.